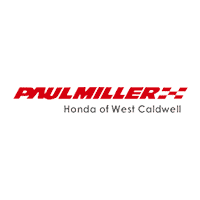 If you’re looking for a great deal under 10k and live in Parsippany-Troy Hills, Wayne, Montclair, or Livingston, NJ, find a solid deal on a quality pre-owned vehicle right here at Paul Miller Honda. Whether you’re in the market for a replacement vehicle, or on a mission to find an inexpensive car, truck, or SUV for the newest driver of the family, our bargain selection is full of highly maintained and well-cared for vehicles just waiting for your test drive. Feel free to browse our selection and compare the pre-owned models that interest you most. Our inventory includes a plethora of Honda models along with brands such as Toyota, Mitsubishi, Jeep, Ford, and much more. When people shop at our dealership, they do so with a strong sense of confidence knowing the bargain vehicle they wish to purchase was inspected and maintained by our certified technicians. We take value our customer’s satisfaction and go to great lengths to provide nothing less of a quality and reliable vehicle for our bargain hunters and we can ensure that our pre-owned vehicles come with a full history report from Carfax. When you find the vehicle that suits your personality and lifestyle, don’t hesitate to contact a member of our sales team for more information on following through with the buying process. We are dedicated to finding you an affordable rate while staying within your budget, and it is easier than ever when you have your mind set on one of our bargain vehicles. Schedule your test drive today by calling (855) 637.9299 or stop by our convenient location at 1170 Bloomfield Avenue, West Caldwell, NJ 07006. We look forward to working with you so you can save big on a quality pre-owned vehicle!